Times have changed and digital communication is now a ‘’must’’ within the corporate world. Long gone are the days when staff were only allowed to browse websites, or social platforms during their lunch hour – now, it should be part and parcel of the job. 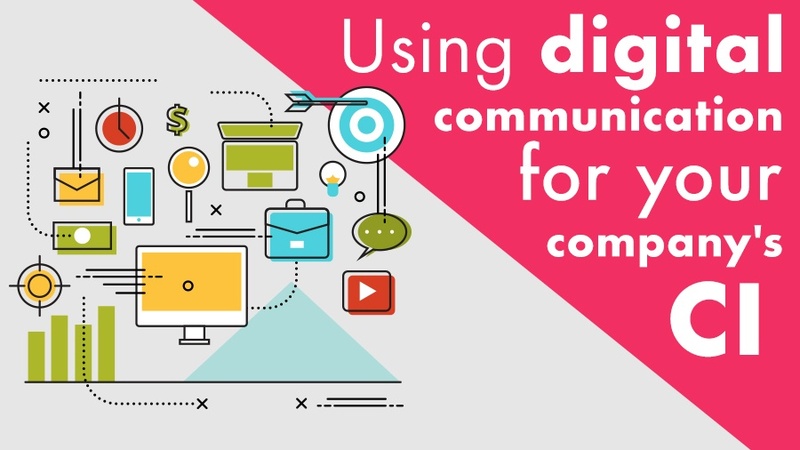 Digital communication is no longer optional in the business world - it’s mandatory, and you can use it as a valuable channel for communicating important business issues to your staff. It is the best way for employees and management to communicate with one another quickly and easily. A great example of this would be to use a Digital Communication plan to educate your staff about your company’s corporate identity (known more casually as CI). A great first step is starting company-wide conversations. To achieve this, ask employees how they feel about your current corporate identity (CI). From there, you can even take recommendations and feedback from employees. Rewarding engagement with actual changes, informed by the insights of employees, will lead to higher morale in the workplace. Try sending out polls via social channels for the company or on the company’s own local intranet. Your company’s email newsletter exists for good reason! To easily view chat logs, which can be referenced for later. Seamless collaboration with team members. Manage multiple conversations at once. Effectively communicate with many different employees. By conducting these types of conversations, you’re not only empowering your employees, but also educating them via your digital channels about the company’s CI. As a result, because they’re giving input into the design of the CI, they feel more compelled to make use of it and keep it consistent through all their digital communications. As mentioned above, instant messaging is a great way to streamline internal communications. Platforms like Slack effectively enable peer-to-peer (horizontal) communications among employees. Therefore, it’s simple and easy to connect to employees at all levels (vertical) of communication. Finally, you can get those discussions on your CI going company-wide. Now it’s up to higher-ups and those in HR to educate their employee base on the best practices for their CI. There’s even an opportunity to share branding via newsletters on the company, and sharing resources and guides via the local intranet. It becomes easy to educate your staff about your internal CI by making sure you have resources and budget set aside for such initiatives. Be certain that you and management have agreed on a meaningful budget that will help build strong relationships among employees, and will also make staff understand the correct usage of the CI. It’s not good enough just to have web form on the company intranet, where you take suggestions. Engagement via digital channels is essential for making commitment to your CI happen company-wide. With employee suggestions in mind, your CI will not only reflect the preferences of upper management, but also employees within the company.